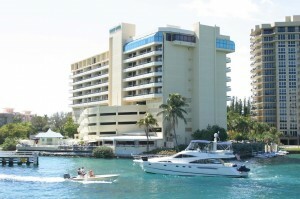 BOCA RATON, FL (March 7, 2013)– The Boca Raton Bridge Hotel, approved for a major transformation into luxury 4-star status, will close during renovation construction citing concerns for quality of guest comfort and service and the safety and health of employees and guests for the decision. According to Boca Raton Bridge Hotel General Manager Greg Kaylor, the hotel will close on April 29th, begin transformation in May, and remain closed until late fall upon completion of full renovation. The preliminary phase of the Bridge Hotel’s major “reinvention” was launched in November 2012 with the construction of the hotel’s new “waterfront promenade” that flanks the property’s entire Lake Boca perimeter. Kaylor explained that it is not unusual for a boutique-sized hotel to close for a period of time when undergoing an extensive transformation such as what is planned for The Bridge Hotel that has long been in need of major structural and technical upgrading. He reported that only a minimal group of staff who will directly support the property’s day-to-day transformation process management will be on-site. Upon the completion of construction efforts, current employees may reapply for unfilled positions with business necessity, expertise, and past performance taken into account in making these decisions. He also noted that while the final staffing plan not yet determined, the new transformation plans will generate an increase in number of jobs available at the hotel at re-opening. 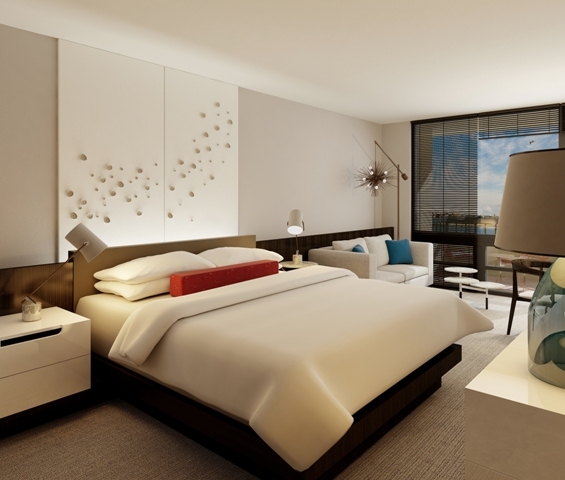 The hotel’s complete transformation will include the introduction of entirely new hospitality and dining concepts, further expansion waterfront amenities, and extensive reorientation and renovations of public spaces, guestrooms, and restaurants. Reinvention plans will take optimal advantage of the property’s most distinctive assets: its prime location — on the Intracoastal Waterway and Lake Boca with direct access to Atlantic Ocean — and its breathtaking water views. The Boca Raton Bridge Hotel, one of Palm Beach County’s boutique icon hotels with panoramic water views from every guest room, is located where the Intracoastal Waterway and Lake Boca Raton meet at 999 East Camino Real in Boca Raton. Hotel reservations are available until April 28th, visit www.bocaratonbridgehotel.com or call (561) 368-9500. For dining updates at WaterColors or reservations for Carmen’s award-winning Sunday Brunch, call (561) 886-4570 or visit www.opentable.com. Winston Harton Holdings, LLC (WHH) was established by Russell Flicker and Jonathan Rosenfeld to acquire distressed, value-added and operationally intensive real estate assets through equity and debt. Its principals have extensive experience and complementary skill sets in the real estate sector, including acquisitions (private transactions and public securities), capital markets and asset management and asset repositioning. WHH will partner with both traditional institutional capital as well as private pools of capital to pursue transactions ranging from $10-$250mm. For more information, visit www.whhllc.com.